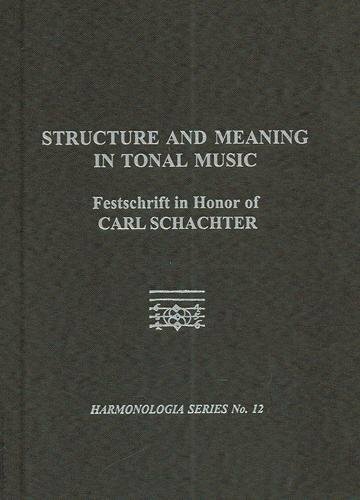 Carl Schachter is widely acknowledged to be one of the leading music theorists of his generation. His influence, both as a teacher and through his writings, is incalculable. Yet as known to his colleagues, students, and friends, Carl Schachter the man is equally remarkable. The essays in this book reflect both aspects of his influence. Among the many notable scholars with contributions to this volume are Charles Burkhart, William Rothstein, Joel Lester, Hedi Siegel, Channan Willner, Frank Samaratto, and William Renwick.